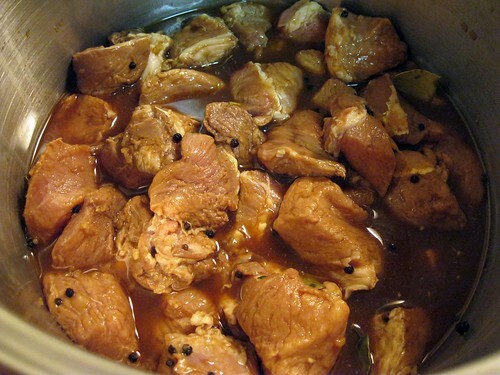 Adobong Baboy (Pork Adobo) | Hapa...Shot the Food! Another theme and variation on adobo. 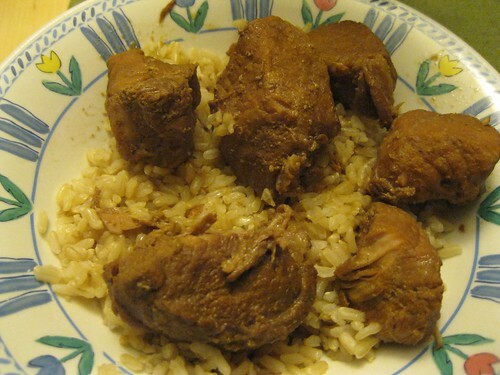 This time, I used pork with the recipe I usually use for chicken adobo (recipe here). I used a large pack of boneless ribs since they were on special at the time. 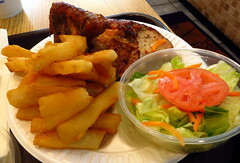 I had to do less prep work since the pork was already cut somewhat, and this pack wasn’t particularly fatty. Here’s a shot of the pork, which will be brought first to a boil. The mix will then simmer for a while, first with the lid, then without. 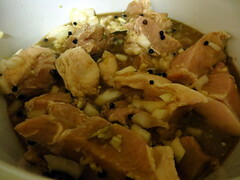 Posted on October 17, 2010, in entrees, Filipino, Uncategorized and tagged adobo, pork. Bookmark the permalink. Leave a comment.